Permeability is the primary control on fluid flow in the Earth’s crust and is key to a surprisingly wide range of geological processes, because it controls the advection of heat and solutes and the generation of anomalous pore pressures. The practical importance of permeability – and the potential for large, dynamic changes in permeability – is highlighted by ongoing issues associated with hydraulic fracturing for hydrocarbon production (“fracking”), enhanced geothermal systems, and geologic carbon sequestration. Although there are thousands of research papers on crustal permeability, this is the first book-length treatment. 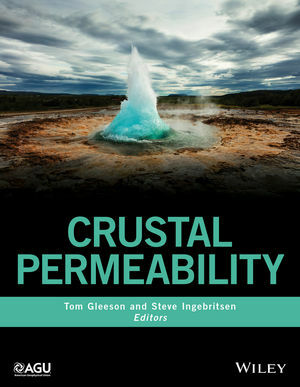 This book bridges the historical dichotomy between the hydrogeologic perspective of permeability as a static material property and the perspective of other Earth scientists who have long recognized permeability as a dynamic parameter that changes in response to tectonism, fluid production, and geochemical reactions. Steve Ingebritsen, USGS,?Menlo Park California. Tom Gleeson, University of Victoria, Canada.